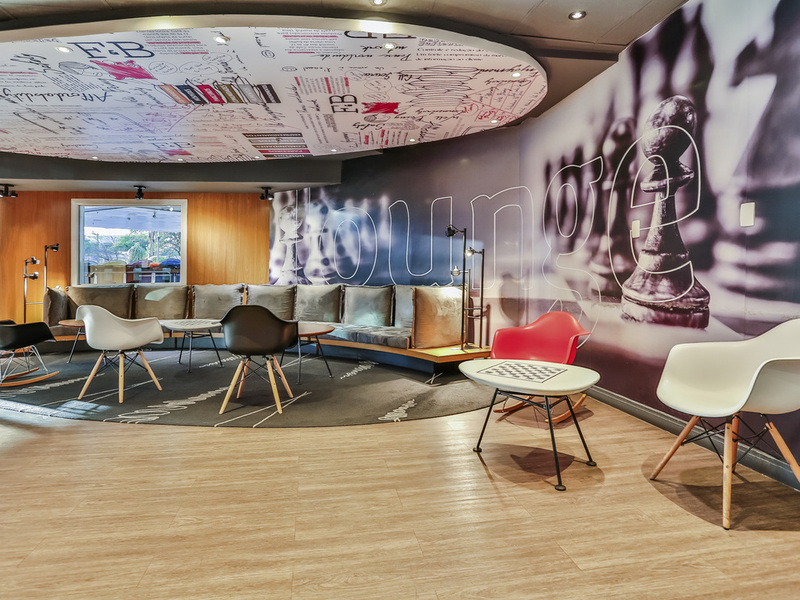 Ibis São Paulo Congonhas is the right choice for those looking for a hotel near the airport, it is just a 5 minute walk to the the hotel. The rooms accommodate 2 to 3 people and feature the comfortable Sweet Bed. Do you have an early appointment? A delicious breakfast is served from 4am. Buffet for lunch and dinner, and a cosy bar for happy hour. Meeting and event rooms with capacity for up to 130 people. An advantage to stay at Ibis São Paulo Congonhas is being near São Paulo Expo and Expo Transamérica convention centers, São Judas & Conceição metro stations, & districts of Moema, Vila Olímpia & Brooklin. There is plenty to do near Congonhas airport, such as Ibirapuera Shopping Mall, Morumbi Shopping Mall, Monica's Park, Ibirapuera Park, Museum of Contemporary Art, botanical gardens and the Zoo. Please be advised that the hotel will be closed between December 20, 2018 and March 31, 2019, which may create some inconvenience during business hours. Whether for business or pleasure, rooms at the Ibis SP Congonhas are ideal for your needs. With modern and comfortable rooms, it has everything you need to relax after a long flight! If you are travelling between friends or family, enjoy the ease of accommodation for up to three people. Contemporary cuisine restaurant with homemade touch, open daily for lunch and dinner. At lunch, on Wednesdays, a delicious feijoada is served, and on Fridays it is the turn of Bacalhoada. view out of the window was excellent!!!! Privacy on top level.. all facilities available..
Ibis style ... very good !! Very nice hotel with great location right near the Congonhas airport - São Paulo, being able to walk in 5 minutes. Clean, organized and with a great breakfast. I really recommend .Good reception and excellent staff . Good restaurant, very nice staff, the location is fabulous near the Congonhas Airport, you just have to cross the street. I heard some clicks here and there on my room, but not a big deal. Restraurants and lobby area are good. Hotel room was very poor. No shampoo, no hair conditionar, no cafe, tea sets. Thank you I had a great time . Your front desk Cyntia went above and beyond! Good, but the acoustics inside the room is not so good, permits to hear the noise came from corridor. I needed to be at the airport at 5 am. Breakfast served at 4 am was perfect and the shuttle to the airport was what I needed. It was a pleasure to stay with you especially since you offer facilities to the traveler that needs a decent overnight stay and services which you have provided. Thank you. It is as very easy and friendly. The hotel is ok and obviously convenient to the airport, but it needs an upgrade immediately. The bathrooms primarily have this &quot;skunk&quot;, mildew on the shower and on the floor that do not come out anymore, to the point of a person wanting to wear flip-flops because of it. The rest is ok, service was ok and the downstairs overall appearance is ok. The Ibis pattern style, the dinner buffet is good the wine menu is poor overnight staybut sufficient, the location side Congonhas airport fantastic to overnight stay. The staff very good. Pets allowed the large differential. The hotel is comfortable, clean, provide a good breakfast and have a dinner buffet. Many thanks to the great staff for making my stay really enjoyable. Excellent service, really clean and comfortable hotel, really efficient. A little oasis of comfort.